Фотобанк Rusmediabank – лицензионные Фото, Видео, Музыка - Different types of road signs cartoon,black,outline icons in set collection for design. Warning and prohibition signs vector symbol stock web illustration. 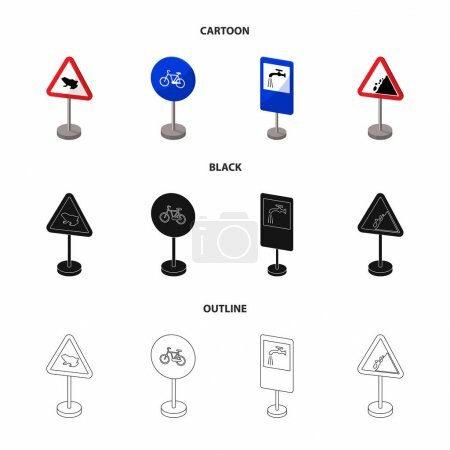 Different types of road signs cartoon,black,outline icons in set collection for design. Warning and prohibition signs vector symbol stock web illustration. Different types of road signs cartoon,black,outline icons in set collection for design. Warning and prohibition signs vector symbol stock illustration.